Which idol's voice best fits the autumn season? On October 16, the results for the 10JAM poll, "Which idol's voice best fits the autumn season?" were released. The poll began on the 10JAM app on October 1and concluded on October 15. 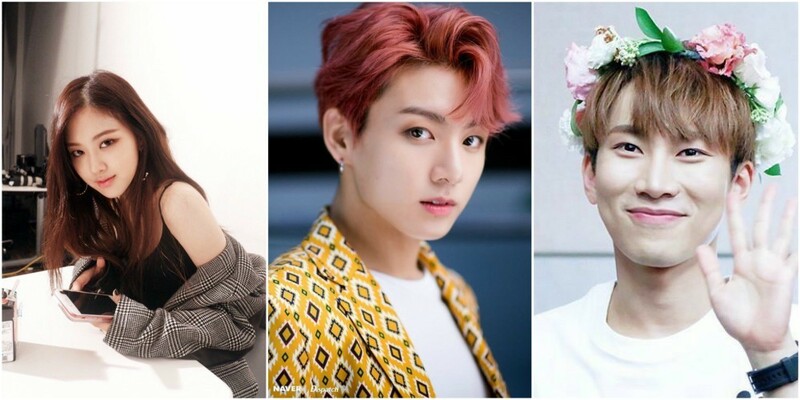 According to the poll, the winner is BTS's Jungkook�with 15% of the total vote. Following in second place is Girls' Generation's Taeyeon with 10.7% of the total vote, barely edging out third place winner, BTOB's Eunkwang, who garnered 10.3% of the total vote. In fourth place is Wanna One's Jae Hwan�with 9% of the total vote and in fifth place is Black Pink's Rose with 7% of the total vote. The poll asked 10JAM's users to consider the vocal tones of idols and how their musical nuances matched the season of autumn. What do you think of the results? Who would your vote go to?